After developing your blog/website the most challenging job is SEO. To achieve top rank all the webmaster are trying to improve their site for SEO. To improve your website for SEO there are several methods available; building backlinks is one of them. Some people might have heard from somewhere that they just need to build backlinks to boost their ranking. But this is not so; according to Google link building is one of the factor form 200 available methods to improve your site for SEO. Some newbie might have noticed that I am using one word here that is backlinks; newbie might be unaware of it. While some have a little knowledge about them but as you know a little knowledge is a dangerous thing. So here I am explaining you everything about backlinks and also no doubt updating the list of high PR dofollow blogs/websites/forums. Backlinks are links that are directed towards your website. These are also known as inbound links. In short, an incoming hyperlink from one web page to another website. The more number of backlinks the more popular and importance website is. Beware!! Don’t get me wrong; this is true that more the number of backlinks more the popularity of website is, but quality is important. Google allows only those backlinks which are from high Page Rank and related niche websites. At the time of crawling your site Google gives importance to these backlinks. 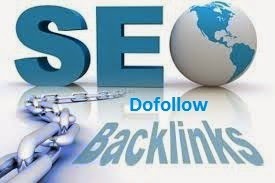 Dofollow link passes link juice and helps you to rank your website higher. It instructs spider bots to rank your site at higher position in search ranking. The above link is dofollow. When you left comment always inspect that link is having rel = “external” attribute or not. Google gives no importance to these links. But some other search engines like Bing, Yahoo are still giving importance to Nofollow attribute. It simply means Google bot won’t crawl this link and won’t pass any link juice. The above links are Nofollow links, Google doesn't give importance to these websites but other search engines can help you a lot to bring traffic. So you can go for these links. These are some of the high PR sites to get dofollow backlinks. If you are having any dofollow website/blog/forum then you can contact me to list it here. Keep on visiting, we are continuously adding new dofollow sites for backlinks to this list and also will update this list if any of the above listed link is no longer dofollow.